The third book in the Hailey Dean mystery series follows her to Savannah, Georgia, where she becomes embroiled in a murder investigation and finds herself falling for a handsome lieutenant. And that’s just the beginning. Courthouse regulars start dropping dead one by one . . . but why? While Lt. Billings is falling hard for Hailey, she digs in to find a killer with a mysterious agenda . . . as it becomes deathly apparent the next murder victim may very well be Hailey herself. Hailey Dean, the prosecutor who never lost a case, jets to Savannah as an expert witness on the sensational Julie Love-Adams murder trial but very quickly finds herself embroiled in a deadly mystery. As soon as she touches down, Hailey bumps into her old partner, crime investigator Garland Fincher. Leaving the Savannah airport, the two hear an APB on a murder that’s just been committed. Racing to the scene, they find Alton Turner, a courthouse sheriff known for crossing t’s and dotting i’s. The mild-mannered paperpusher is prone to extreme tidiness, but he’s a hot mess now . . . sprawled dead in a pool of blood, severed in half by a garage door. 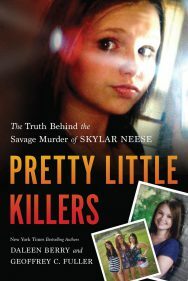 Never one to stay in the background, Hailey jump-starts Turner’s murder investigation while juggling the Julie Love-Adams trial. The timing of the trial and murder could be a coincidence, but everyone knows there are no coincidences in criminal law. And that’s just the beginning. Courthouse regulars start dropping dead one by one . . . but why? While Lt. Billings is falling hard for Hailey, she digs in to find a killer with a mysterious agenda . . . as it becomes deathly apparent the next murder victim may very well be Hailey herself. 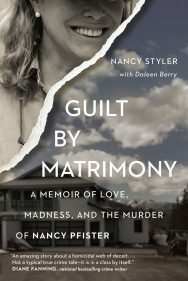 When her fiancé was murdered just before their wedding day, Nancy Grace abandoned plans to become a Shakespearean literature professor to enter the world of crime and justice; she attended law school instead and graduated Law Review. Grace then spent the next decade in inner-city Atlanta prosecuting violent crimes. 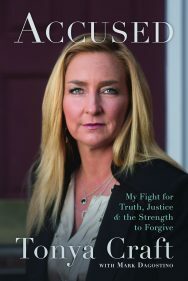 She compiled a perfect record of more than 100 felony prosecution victories at trial with no losses. Grace joined Court TV and, for the next ten years, covered major trials after co-hosting Cochran & Grace with famed defense attorney Johnnie Cochran. One of television’s most respected legal analysts, Grace hosted the top-rated HLN show, Nancy Grace, and serves as a legal expert for ABC’s Nightline, 20/20, and Good Morning America. Grace lives in both New York City and Atlanta with her husband and her beloved twins. Dimensions: 6 x 9 x .5 in. Dimensions: 6 x 9 x .9063 in.